Yellow Snow is back but now it’s a refreshing pilsner brewed with spruce tips. 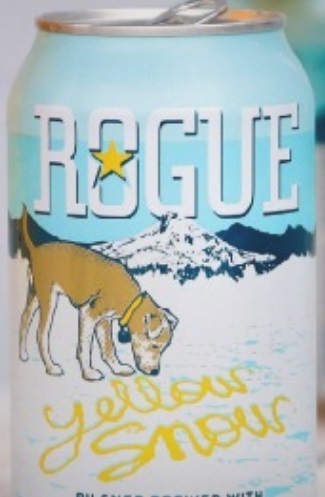 As looming arctic clouds threaten an upcoming season of tacky sweaters, sketchy eggnog and awkward jubilees, Rogue Ales fights back with Yellow Snow Spruce Tip Pilsner. A refreshing new pilsner made with Oregon spruce tips, Yellow Snow flaunts notes of bubblegum, citrus and pine, combating the status quo of wintertime boredom.Dressed in fresh new cans featuring a curious dog against a blue, white and yellow color scheme, Yellow Snow is a kick to winter’s doldrums.